This is a week late and a good example of why you should have your posts written out ahead of time. 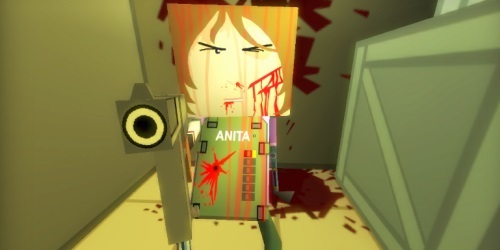 I like Thirty Flights of Loving as a mental experiment more than I like it as a game. As a game there just isn’t enough for me to grab on to in the manner we often attach ourselves to the experience of play. But I find it fascinating to pick apart and autopsy the various elements and what they do in relation to one another. It’s like having a huge story telling game experience distilled to the point where it’s pure. And boy has this metaphor gone off the rails. Even Dear Esther doesn’t have the distilled essence that’s useful for the type of mental exercises Thirty Flights of Loving is capable of, let alone a AAA 20 hour blockbuster. It’s a thought experiment, a craft experiment and narrative experiment in the guise of a published game. Tons of things are hinted at and on my first playthrough so many months ago I felt like I’d completely missed the point. Each subsequent playthrough revealed something else and a clearer picture of what happened formed in my mind. I don’t love this game, but it like Hotline Miami, Dys4ia, Frog Fractions, Papo & Yo among others endlessly fascinate me and get my synapses firing. Here I explore the cinematic aspect of the game and compare it to the notion of cinematic as an adjective in gaming as a whole.